While seemingly interchangeable, Website Hosting and Domain Hosting are two very separate processes that simply work together in Web Development. We use this simple metaphor to explain the difference between a Website and a Domain. Imagine a website as being a house. Even better so, imagine our office for example (and what it looks like), and the domain being the physical written address to find the house’s location (13/328 Reserve Road Cheltenham). A website is might look a certain way. However, you will need the physical address to find it. Domain hosting, as the analogy would follow, is the website’s address (such as www.webtron.com.au) and these website addresses must be purchased separately from website hosting. Some website domains come free (such as accounts for free websites like Facebook or Twitter ). However you must purchase ‘specialised’ domains for most business websites. 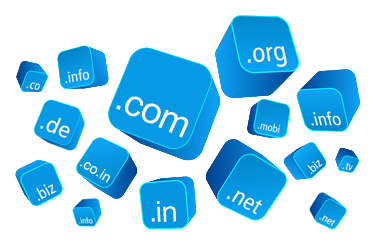 Depending on the type of domain name purchased (.au or .com, for example) can also have a difference in cost. This is dependent on where you register the domain. There are thousands of websites and internet service providers (ISP’s ) that will happily host a website as well as a domain for a small fee. Here at Webtron, we offer both services for your convenience at a small fee. Let us know how we can help you today!